Well-known seafood restaurant Brown's Lobster Pound caught fire overnight Saturday in Seabrook, New Hampshire, according to local authorities. 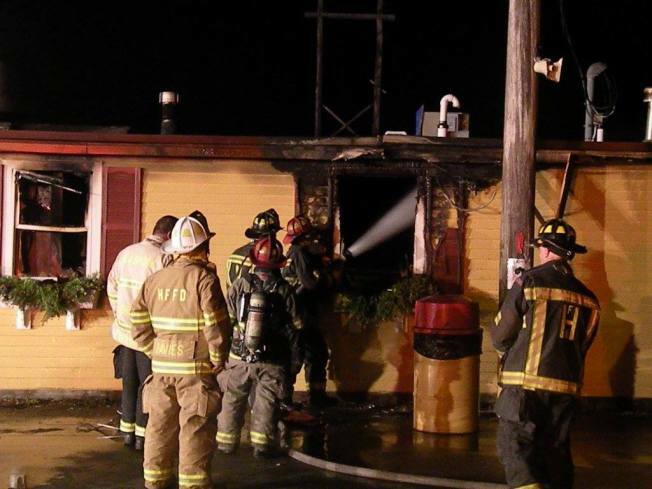 Fire fighters were dispatched to the restaurant shortly before 3:00 a.m. Sunday, after a call. The fire heavily damaged the building, which first opened in 1950. Seabrook fire fighter Barry Sargent said the fire destroyed the rear of the building and kitchen, and caused smoke and water damage in the dining room. On Facebook, The Brown's official page posted Sunday morning that no one was hurt in the blaze. It also said they hoped to be present at the Hampton Seafood Festival in North Hampton the weekend of September 8. Brown's hopes to be back in business "as soon as possible."